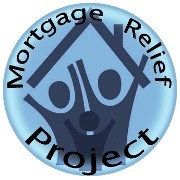 Loan Modification Beats Foreclosure. Learn why it's a better solution. Lenders can be resistant to loan modification and foreclosure alternatives, like short sale and deed-in-lieu. What you should know is that lenders benefit at least as much from these workouts as homeowners do. Lenders balk at mortgage mitigation due to the expenses involved in handling it. Each case requires individual attention, and the foreclosure process is very expensive. Regardless, mortgage mitigation can save your lender time and money compared to foreclosure, and include long term financial benefits. Here are some good reasons why your lender might prefer a loan modification, principal reduction or other foreclosure alternative over the costly foreclosure process. In a foreclosure, there are specific wait times that allow the borrower to become current with their mortgage. It is not uncommon for the process to drag on for years, and cost your lender a great deal of money. Alternatively, a loan modification takes an average of 60 to 90 days. The negotiations are the most difficult part, but much less expensive than foreclosure expenses. Loan modifications also involve much less work on the part of the lender, especially when you are represented by a foreclosure defense attorney that understands the qualification guidelines. To start the foreclosure process, your lender will have to assess late charges, file a Notice of Default, pay heavy legal fees, and arrange an auction to sell your home. If you stop the foreclosure process and get on track with a loan modification, all that expense becomes unnecessary. Loan modifications involve much less work on the part of your lender. You and your loan modification attorney will do most of the work and provide the required documentation. With a good presentation by your foreclosure defense attorney, all your lender has to do is agree to terms and you’ll be back on track. Accordingly, it is best to pursue a loan modification before your lender incurs costs of foreclosure. Foreclosures are as damaging to your lender as they are to you. It may benefit them now, but it will eventually weigh them down. Investors don’t want to deal with banks that have too many foreclosures on their books. If they grant you a loan modification instead, your payments will keep showing up on their records instead of being written off as bad debt. If your loan modification includes a principal reduction, it will increase overall appeal of the lender’s portfolio to investors. Unfortunately, this doesn’t make it easier to convince your lender. You are still considered a liability and you need to prove you can maintain your future mortgage payments. An experienced foreclosure defense attorney is in the best position to convince your lender that loan modification is their best alternative.